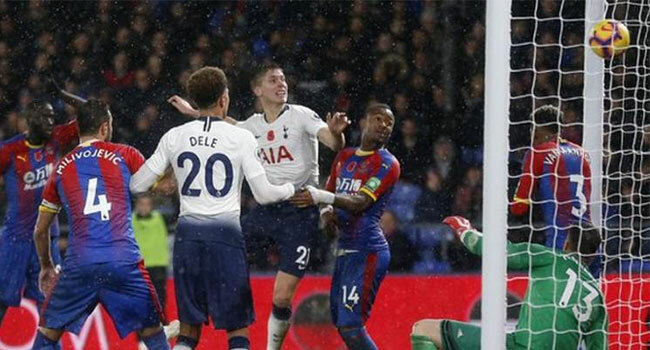 The Tottenham football club manager praised “fantastic” defender Juan Foyth after he scored the winning goal as they beat Crystal Palace 1-nil in their English Premier League match today. The 20-year-old Argentine headed in from close range when he reacted quickest after Harry Kane’s header had been partially blocked. Meanwhile, in the matches played earlier today, Cardiff beat Brighton 2-1, Huddersfield held West Ham 1-all, Newcastle defeated Bournemouth 2-1, Southampton played to a 1-all draw against Watford while Burnley held Leicester nil-all.